The United Nations Social Summit in Copenhagen, March 1995 was where the original local Green Map project grew into a locally-led, globally linked movement, thanks to the O2 global network, a universal symbol set, the then-new internet and the contributions of many pioneering eco-mappers. Our thanks to the International Union of Architects (UIA) and ADPSR for their support. The first Green Map featuring our shared iconography was published in Copenhagen by ecodesigner Niels Peter Flint in 1996. 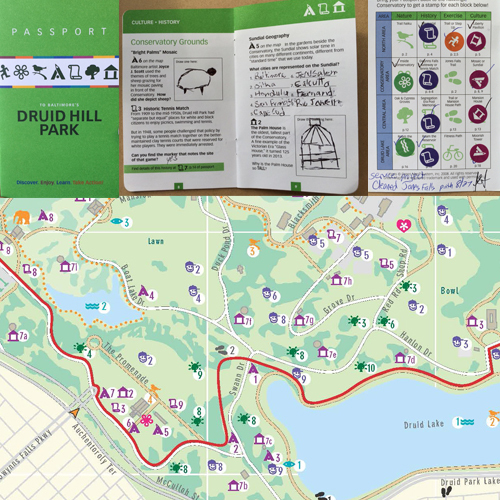 The first of four editions produced by civil society partners, it created a pathway towards healthier, more sustainable living for both residents and visitors. Malmo, just across the sound in Sweden, was also publishing Green Maps, and the two cities co-hosted Green Map network gatherings in 2000 and 2003. In 2009, Green Map was shortlisted for the Index award for our social mapping platform, as described on our old website. Ulla Eikard, the urban planner who invited our director to present Green Map to Copenhagen in 1995, joined Index events with us and since then together, we have explored new ways to use Green Maps in cities. 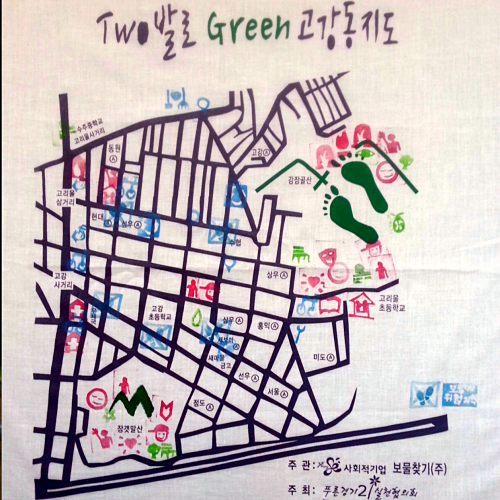 By the way, Open Green Map received several honors and awards and now hosts 41,000 sites in 40 countries. The nearby City of Malmo was one of the first to use it, see OpenGreenMap.org/malmo. Later that year, we returned to Copenhagen to take part in the United Nations Climate Conference (UN COP 15), where we cohosted a Klimaforum NGO event with Swedish, Indonesian and Taiwanese Green Mapmakers. We also launched our iPhone App (now replaced by our responsive webapp), and took part in several discussions. We brought our own energy and climate-change themed Green Map of NYC and shared some of the initial spinoff projects it inspired. Printed in 2006, this map was included in the materials given by then-Mayor Bloomberg to everyone at the first C40 meeting in 2007! 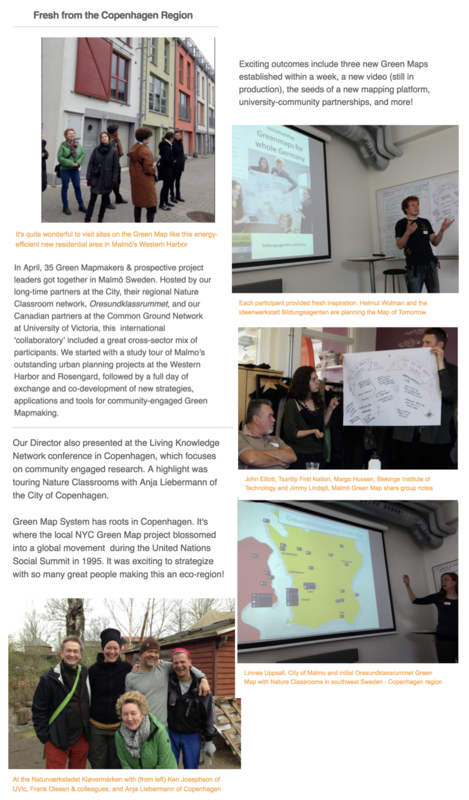 Enjoy the report from our network meeting in Copenhagen and Malmo in 2014, organized by the Common Ground Community Mapping Network. 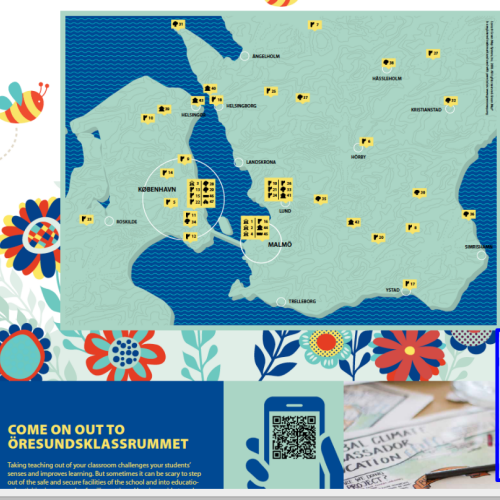 A featured project was the NatureSchool Green Map - this collaboration between Copenhagen and Malmo highlights places that welcome young people for outdoor learning. Download it here and find out about program successes, including higher grades and healthier students. In 2018, our Director met with Ulla Eikard again, this time looking forward to 2023 with the UIA and the IFPH, as well as colleagues at the City, including the Children and Youth division of Department for Sustainable Development, the Copenhagen Solutions Lab,and more . 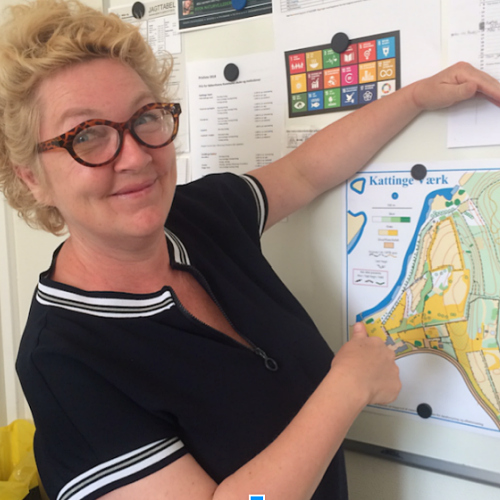 The SDGs and our way of making them more visible was part of the discussion, and before the year was over, we re-connected with Miljøpunkt Indre by Christianhavn and their lovely Nature in Copenhagen map and more! We look forward to sharing more about future plans soon.